When I became dually certified as a Health Counselor & Nutrition Coach, it wasn’t to have a desk job telling you what to eat, it was to learn how to sustain my own adventures. In this post, I share with you the 3 Core Food Philosophies that I follow in life. These aren’t things that were taught in my schooling but are concepts that I’ve figured out for myself as I’ve been out hiking and spending time in the wilderness. I use these 3 core food philosophies as my food filters, something to aspire to when shopping, and to eat in a more conscious way. I’m interested to hear how you can use them in your life as well. This concept is not only a great way to explore food, but to figure out what’s missing from your diet. 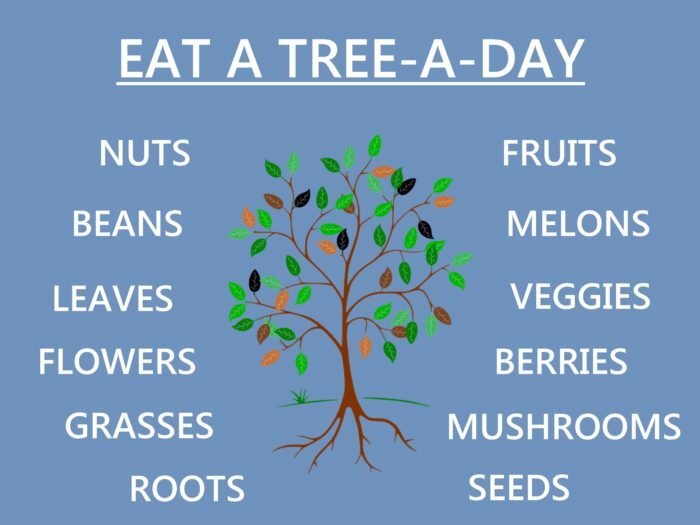 From garden vegetables to foods that are foraged on a hike, eating a tree-a-day gets you closer to the source of where the food’s coming from; which leads us to my 2nd core food philosophy. 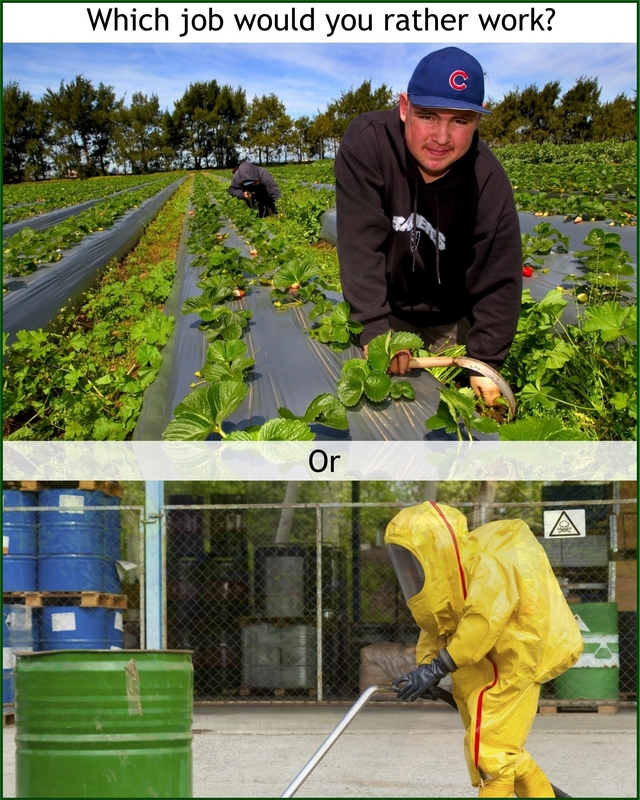 Buying strawberries requires that someone works outside, without much need for safety equipment, but buying Pop-Tarts requires someone to work around toxic materials, which a lot of unhealthy food additives are at the production level. Your food choices are responsible for a lot more than just your own health, they’re responsible for the jobs that people have to work. This realization is was what ultimately made me switch my diet to an organic, whole foods based one. Which job would you rather work? Harvesting strawberries? Or handling potassium sorbate? Increase your intake of solid foods. Time to feast. 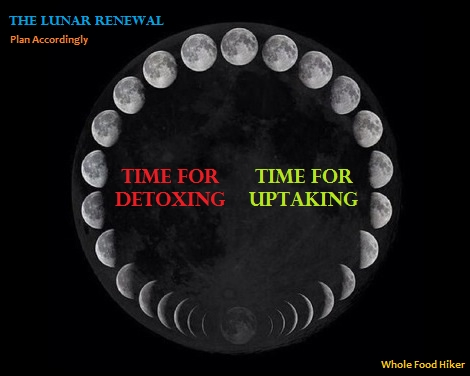 Shift to juicing and more liquid foods. Time to fast. Health is not something for someone else to give. Health is our own responsibility to cultivate. Like upgrading gear and having a better time on the adventure, upgrading a core philosophy you live by can have the same effect. 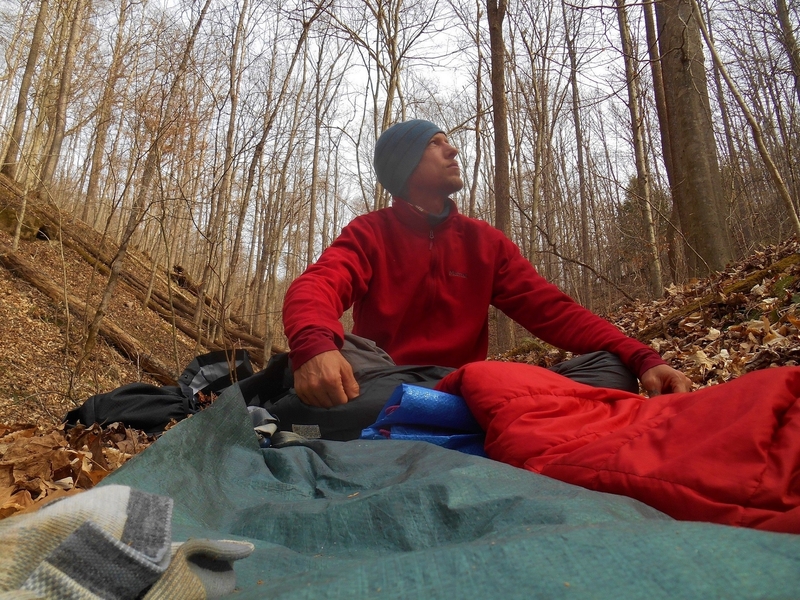 By walking with nutrition on my side, good food karma on my back, and a deeper connection with the universe and its cycles in my awareness, I rest easy at night and wake up excited each day to keep adventuring. Thanks for joining me on this 2017 – Health Hacks with Aria Zoner series. I hope you’ve gained some new insights into nutrition, health sovereignty, and how to thrive on a long-distance adventure. What’s in store ahead for 2018? I’m not sure yet. Like a good hike, I’m just taking it one step at a time. Happy Holidays wherever you are, and may health & wellness find you! For additional tips on wellness, nutrition, & long-distance hiking, visit Whole Food Hiker.